March Mayhem 2011 is just around the corner and we want you, our amazing Pub Club members, to pick the four wildcard spots! There are 20 developers for you to choose from, including Team Meat, Mojang AB and TellTale Games. All you have to do it choose your favorite! On January 21st, we will post the top 4 developers you have chosen and the entire list we be published in February. 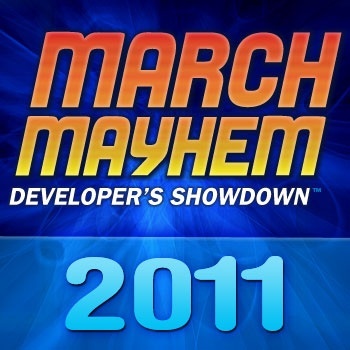 March Mayhem: Developer's Showdown is The Escapist's annual competition where videogame developers face-off to discover which developer will come out on top. You will have the opportunity to vote for all of your favorites in March, but before the bracket can be finished we must fill these final four slots! You will be able to cast your vote until midnight on Friday, January 21st. We will post the four wildcards here, and then post the entire list sometime in February. To begin, click here. Not a member of The Escapist Publisher's Club yet? Click here to view all of the benefits and how to become a Pub Club member!